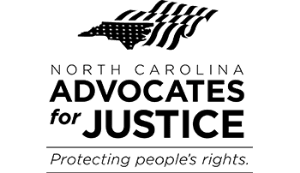 As an established North Carolina law firm, King Law Firm is committed to providing high-quality legal representation to all those who need it. If you or someone you care about has been injured in an accident due to someone else’s negligence, you deserve compensation. This compensation can be used to help pay for expensive medical bills, therapy services, property damages, and more. You may be legally owed this compensation by law and if so, you will need an experienced attorney who knows how to handle all of the many proceedings, paperwork, and policies. Fortunately, King Law Firm’s personal injury attorneys in Rocky Mount have over 30 years of legal experience. We know the ins and outs of the complex legal system and this specific area of law. Our lawyers can proficiently guide you through the legal process while ensuring you are always fully informed about your case’s status and any new developments. Call King Law Firm today at (910) 455-4065 or contact us online to schedule a free case evaluation with one of our experienced personal injury lawyers in Rocky Mount. Regardless of your type of injury or accident, we can handle your case. Our attorneys have recovered over 25 million dollars for our clients over the years in a vast range of different cases. We focus exclusively on personal injury law, which allows us to provide you with a specialized perspective that most other law firms cannot. If you have been injured in an accident, there are several steps you can take to potentially improve your chance at success. Once you’ve been in an accident, make sure you contact the police and collect the personal information of all other parties involved. The police will document what happened and collect witness testimony. Make sure you take photos or even videos of the scene of the accident for later use. Then, see a medical professional as soon as the police are done with the scene. This will not only aid you in your recovery, it will also provide you with concrete evidence of your injury. Lastly, try to document your injury as thoroughly as possible. In court, it is generally better to have too much information than too little. To learn more, call us today at (910) 455-4065 and speak with one of our personal injury lawyers in Rocky Mount. In addition to being trusted personal injury advocates in the State of North Carolina, King Law Firm is also your source for sound legal advice pertaining to your personal injury matters. 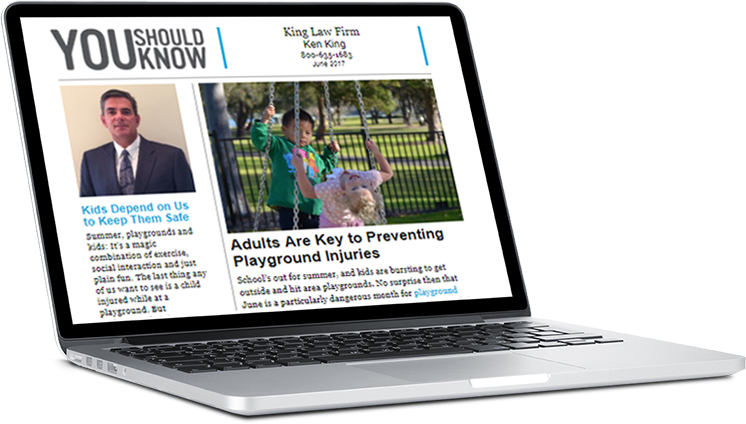 Take a look at our most recent newsletter for insights relating to playground injury prevention for your children.